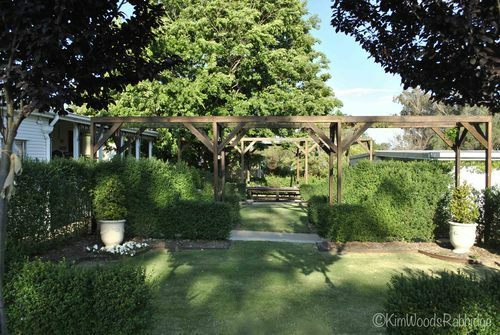 We promised to show you more of Clint Kenny’s garden, The Laurels in Warwick, in the Southern Downs, Queensland. 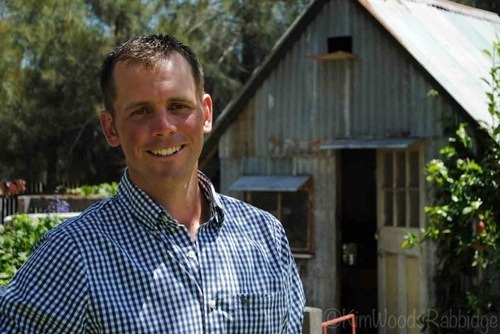 Clint is a young designer who studied agriculture at UQ (University of Queensland) before working in a boutique landscaping business in Brisbane. 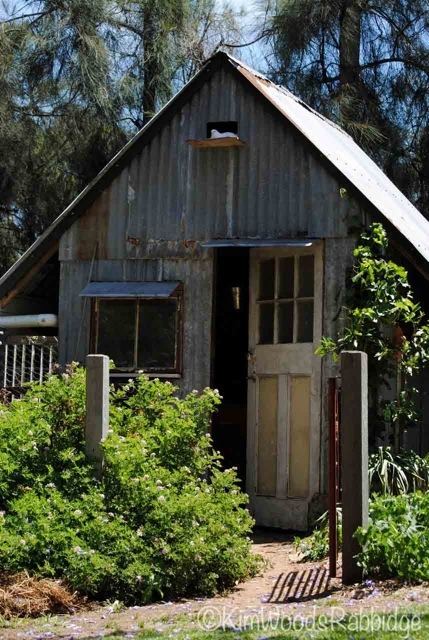 The garden is divided into several sections: formal at the front and back of the home, and a utilitarian section with sheds, office and paddock further down the block. 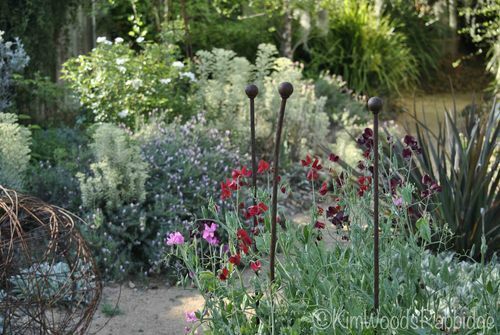 Informal plantings are used along the borders. Apart from being a talented garden designer, Clint plays polocrosse and drives, as well as collects, chariots – actually they’re horse drawn wagons but so handsome, and beautifully restored! 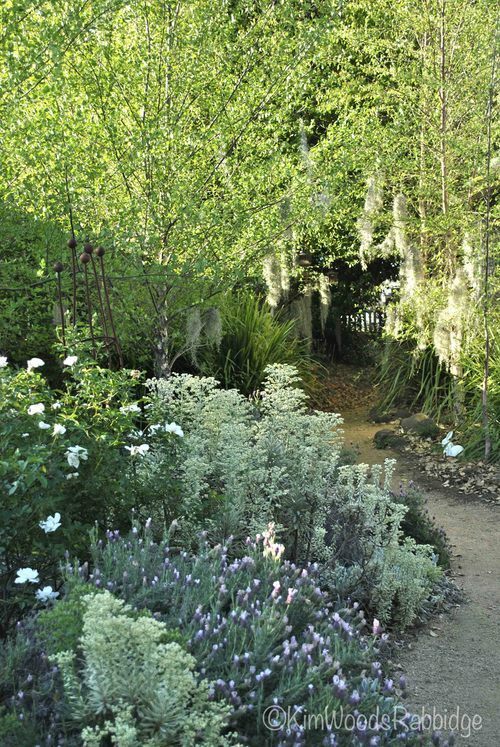 At The Laurels a grove of deciduous tropical birch (Betula nigra) flank a gravel path wending along the west. 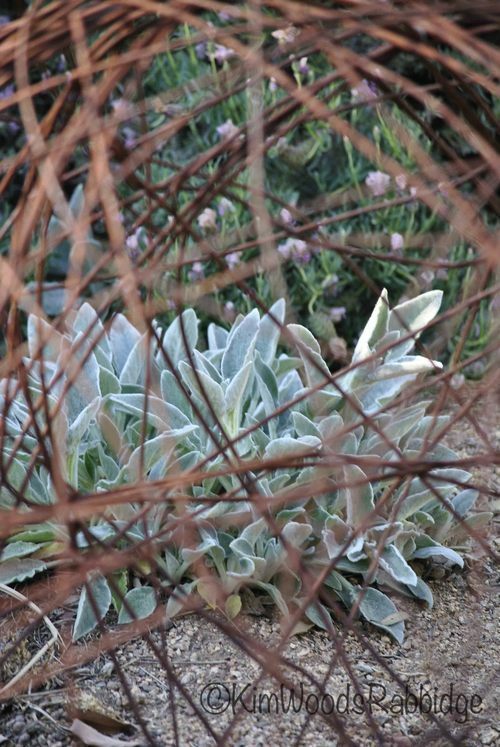 Layers of perennials include milky green Euphorbia Silver Swan and Lavender Strawberry Ruffles. Ephiphytic old man’s beard, suspended from the trees, evokes a mystical atmosphere. 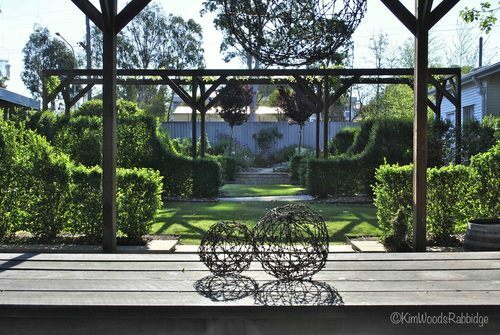 While spherical in form, these wire sculptures Clint has made have an etherial element and contrast with the velvety leaved Lamb’s tongue (Stachys byzantina). 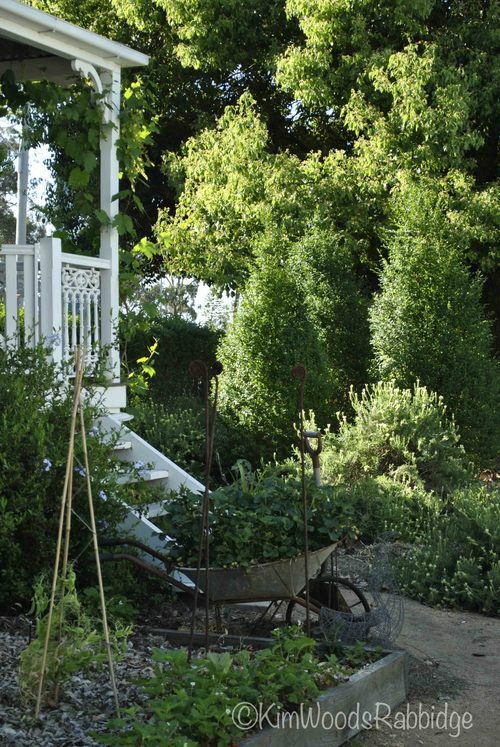 His business, Clint Kenny Garden Design offers a valuable service, particularly for country gardeners, across southeast Queensland and northern New South Wales. Every area has unique growing conditions and Warwick’s range from hot, and sometimes wet, humid summers, to dry frosty winters. 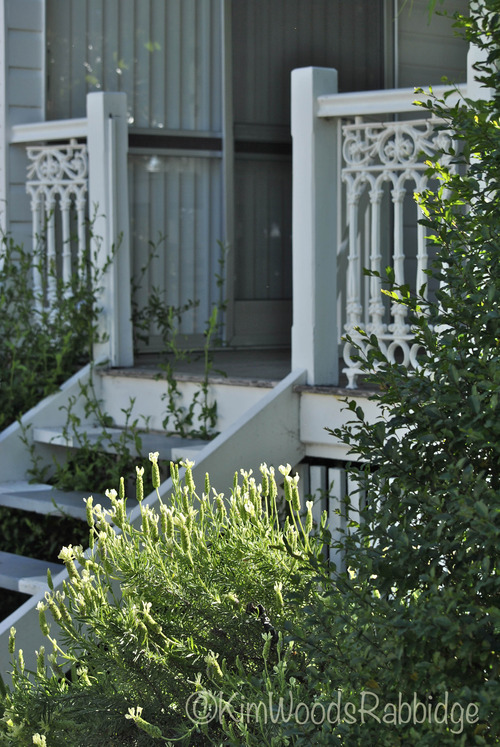 Clint likes to trial plants at The Laurels both for his own use, and for his clients. Lavender Pippa White growing beside the steps is a favourite – with white ruffles first, followed by beautiful little blue and green petals lower down on the bracts. 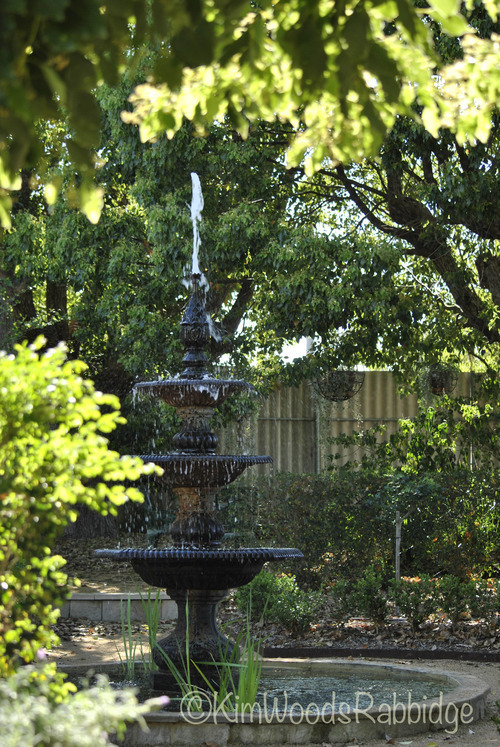 Formal elements include hedges, standard roses and this classic iron water fountain at the front. In contrast, perennials happily tumble across paths – and annuals, such as the sweet peas above, provide bright, and fragrant notes. 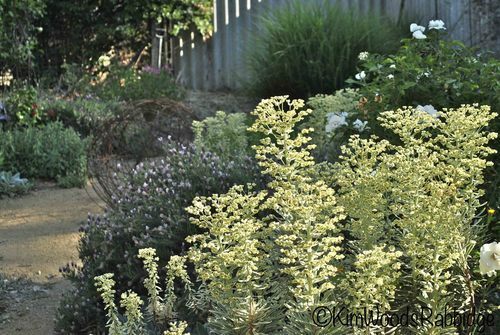 Ligustrum undulatum, a non-invasive box leafed privet, provides similar attributes as murraya and is ideal for the climate: it’s evergreen, good for hedging, shaping, and is fast growing. In the back garden, Clint built two generous arbours: they’re well-proportioned, solid structures that help delineate the area. It shouldn’t be too much longer before racemes of Wisteria sinensis, climbing the posts, make a lovely spring show. 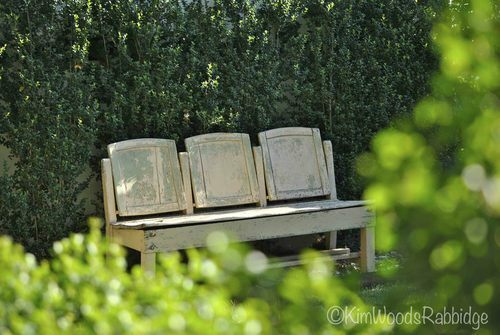 To one side a large timber table and bench seats are used for outdoor entertaining. If the weather’s a little chilly a brazier keeps everyone warm. 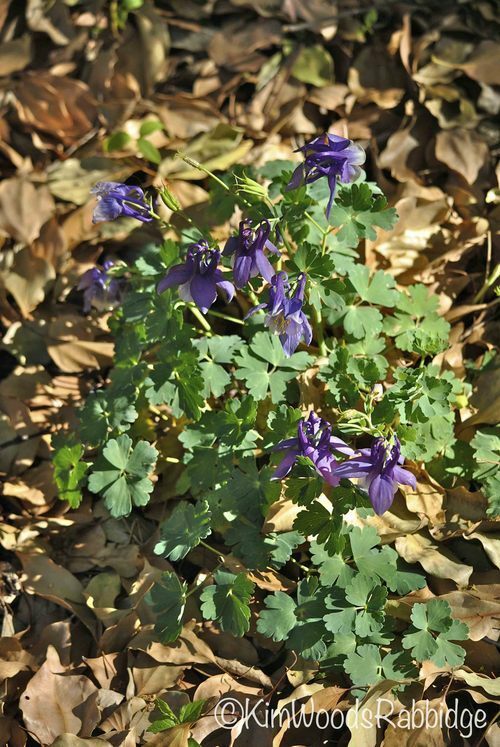 An aquilegia emerges amongst winter leaf drop. Clint recently bought 500 (!!) 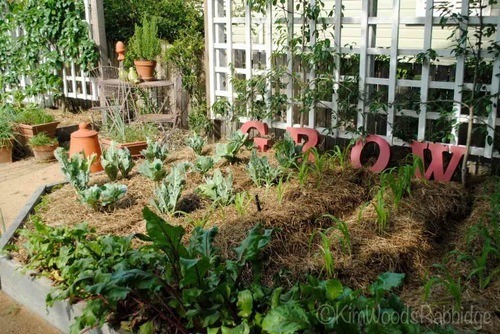 seeds to plant for next spring. 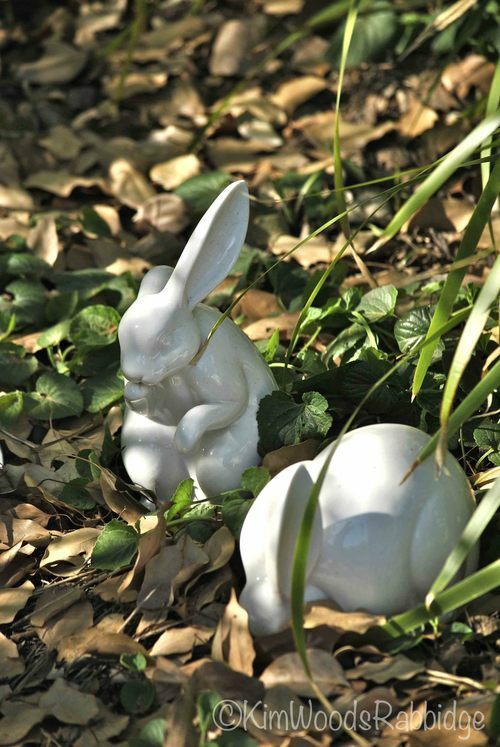 Cute additions for the young and young-at-heart. Clint seems to have the right balance: just a few quirky elements add light-hearted notes to more serious design. 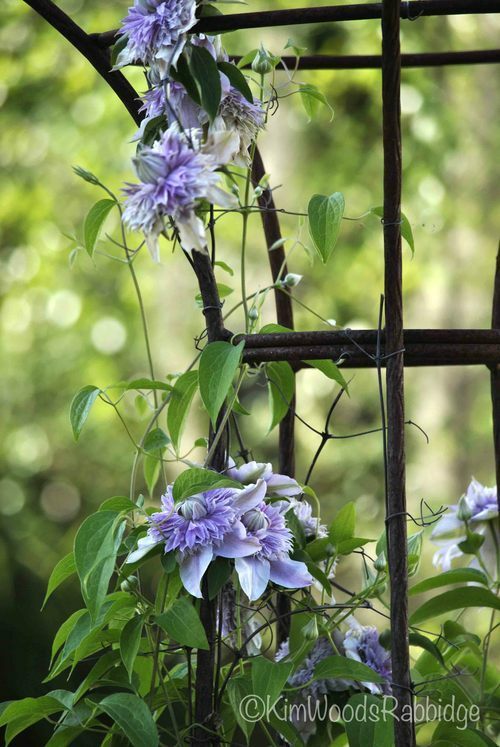 Clematis Josephine supported on an arbour. 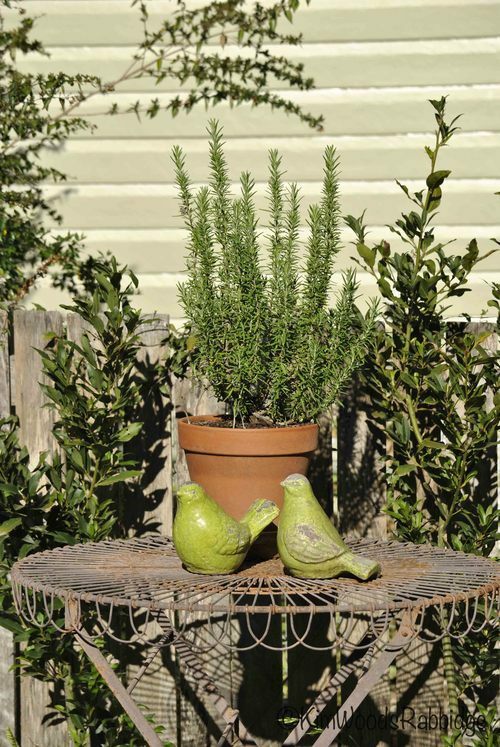 A potted rosemary stars in this simple vignette – and behind, bay trees will be trimmed to form a hedge along the neighbouring fence. ‘Collectables’ and recycled objects are sensitively placed. 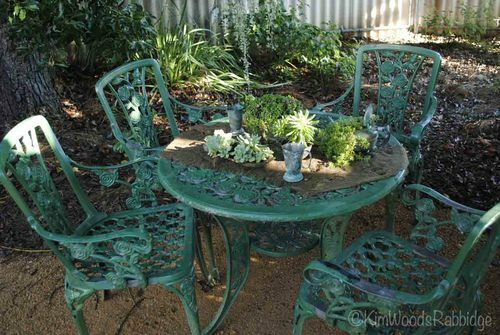 Theme in Green: pewter mugs and potted succulents adorn a hessian cloth. 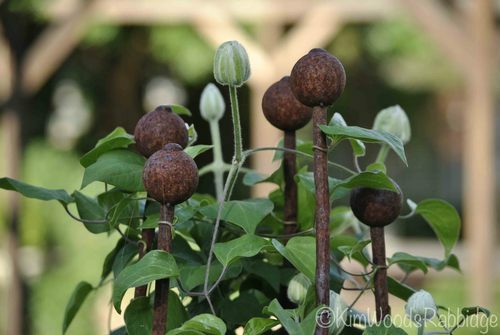 Three box-leafed cone shaped privets are punctuation points at the corner of the house. 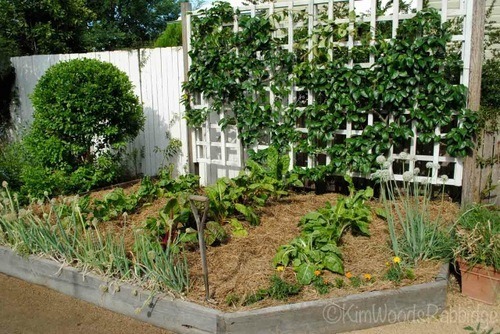 A couple of the veggie beds with espaliered pears growing on the trellis. 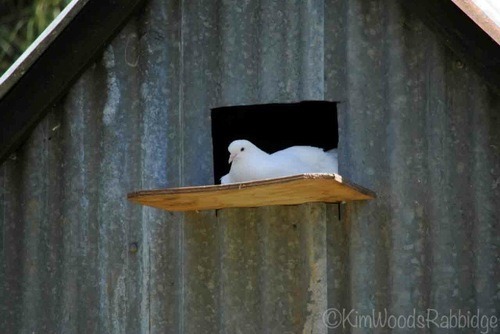 Perhaps a foil for earthy chook pen fragrance? A rose-scented geranium grows by the entrance. 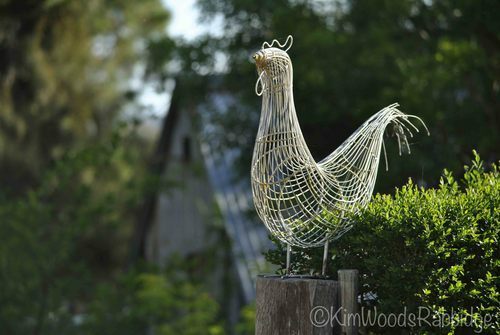 At the far back of the block, behind his office and work shed, there’s a pond, gum trees and a very quaint, very fancy chook shed. A few ducks also call this area home. And did I mention Clint’s always full of good ideas? 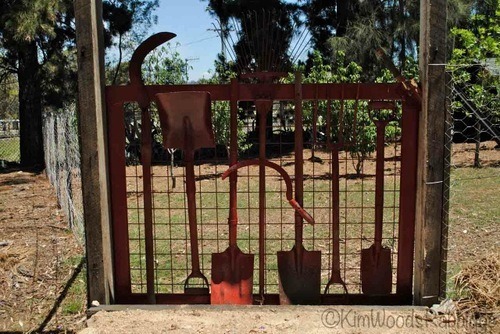 This should sickle your fancy – here’s a shovel load of creativity on a gateway to the back paddock.